Deacon is a writer photographer and editor who has written about Australia’s underwater world. In this her third book she looks at Australia from the perspective of the Dreamtime, an expanded state of consciousness Dolphin energies form a group consciousness which was well known to the first Australians, the Aboriginal people. This is explored through trance channels. This latest frontier of the mind is expanding our viewpoint as inhabitants of Earth, the Blue Planet, Urantia. Is this the way to an ecologically sustainable future? My travels around Australia going to Sacred Sites, where I did Earth Healing. Includes Kakadu portal, Available on CD in .pdf file $20 by Paypal and emailing the details to: christinedeacon2@gmail.com ALSO AVAILABLE BY DOWNLOAD FOR $3.99. These meditations are spoken by Christine and are based on Joshua Stone’s teaching.They were prepared by Christine for her students and are recorded in a studio and have background music. Ask if you are ready before using them. 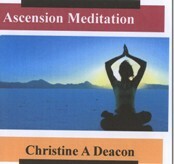 There are 4 meditations Cosmic Ray, Lady Masters, Ascension Meditation and Ascension Seat Meditation. 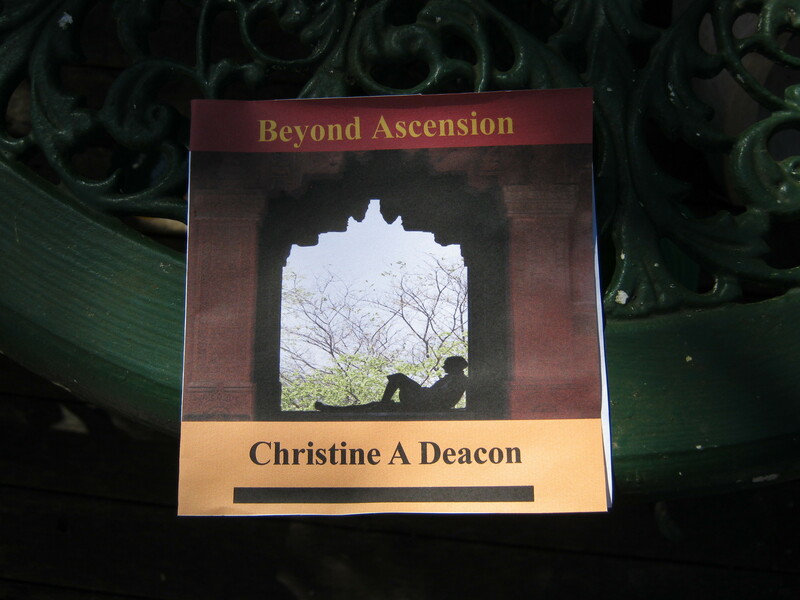 Beyond Ascension has 8 meditations based on Joshua Stone’s books. I'm an artist and author from Mount Tamborine in Queensland where I moved in 1996 from Sydney I have several published books now available from https://christinedeacon.wordpress.com/ Australia Down Under published by Doubleday 1987 Pandas published by Pascal Press (in print) Uluru by Arunda (Wordpress download https://www.christinedeacon.wordpress.com String of Pearls (Wordpress download as ebooks, including one about Pandas when they came to Taronga Park Zoo. I also worked as Science Editor on the 4th edn of The Australian Encyclopaedia and as an editor for the Supervising Scientist in Jabiru, NT in Kakadu National Park. I am a passionate environmentalist and spiritual ecologist, which I see as balancing the yin/yang.